Mercure Apartments Curitiba Sete De Setembro Curitiba, Hotel Brazil. Limited Time Offer! The Mercure Curitiba Sete de Setembro is on Avenida Sete de Setembro, facing Praça do Japão. It is in the Batel district, one of the most elegant parts of the city, full of bars, restaurants and businesses. 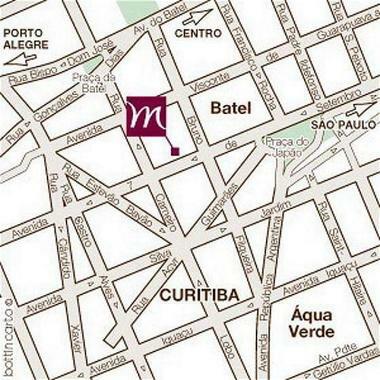 Close to the Crystal, Batel and Curitiba shopping centers, and other shops in general. Easy access to the industrial city of São José dos Pinhais and to Afonso Pena Airport.